More pictures of the Palm Pre in the open? There seem to be many Palm Pre sightings in the open lately. 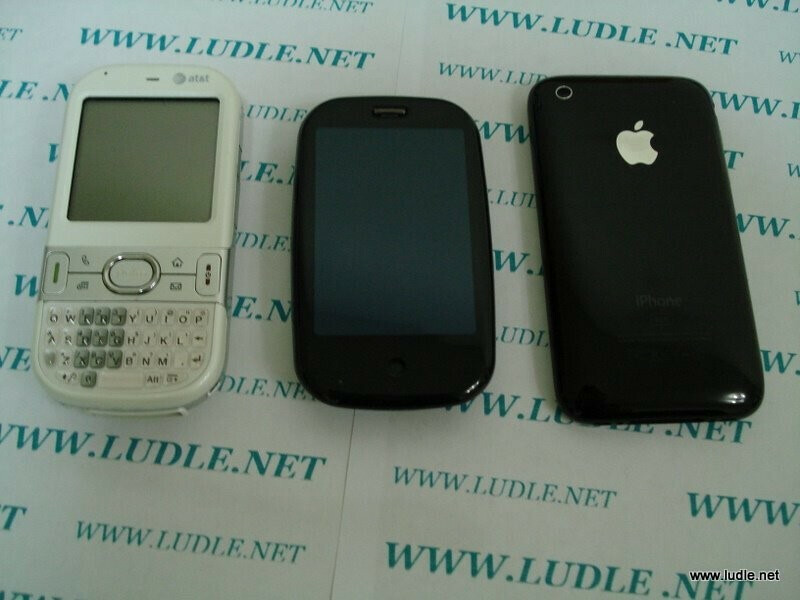 The last two additions to our Palm Pre gallery come from a company called Ludle International that is a Chinese accessory manufacturer. Now, we are not sure that these are real, since the device on the picture may be a dummy model or a knock-off phone. Still, it looks real enough to share at least. 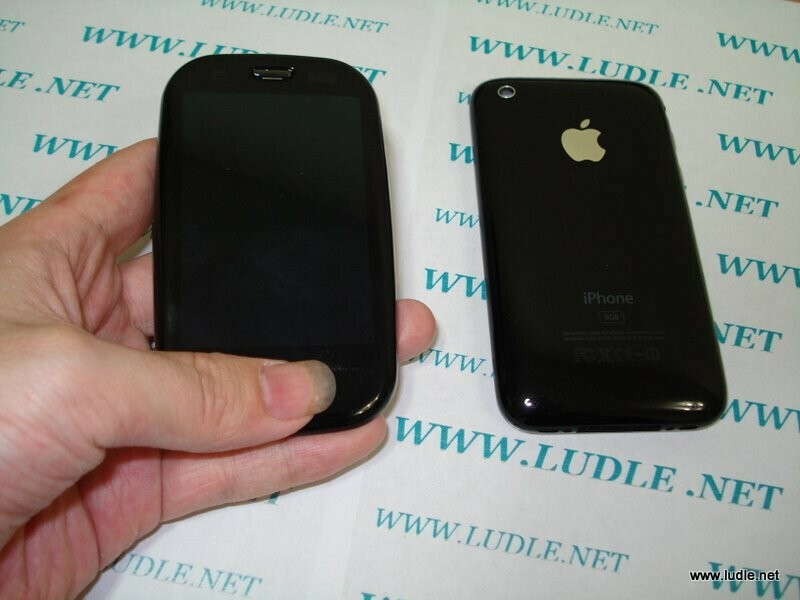 On one of the pictures, the Pre is posing for a size comparison in the company of the Palm Centro and the iPhone, although Apple’s product seems to be somewhat camera shy, laying face down on the table. The second picture gives us an idea of how the phone would look like in our hands if we had really long fingernails. The iPhone is also there, once again lying on its face, making us wonder whether or not it’s genuine too. The Pre seems somewhat smaller than the other devices on the pictures but we already know it is supposed to be smaller. You can compare its size using our unique visual size comparison tool by clicking here. So, it would be best if you just take a look at the pictures and decide for yourself if they are the real thing or not. LOL ! might as well put some nail polish on it ! Totally agree.... It has something brownish on the nails. PALM take the PRE out of those unworthy palms. Such a device needs to be handle with love and hygiene. I haven't even seen a sprint commercial yet. Looks like they are dead in Bakersfield. Dude you rock!!! Thanks for the update! The PRE is a 4G phone. That TV Add is pretty cool. I like it a lot. pre isnt 4G they're just saying we'll be the first to 4G because they can leagally say it. For the record, Sprint's supposed "4G" network is a joke! However, the Pre does look pretty sleek! I'll be looking forward to see if it actually lives up to the hype. Lately, phones have not been living up to their hype...unless your talking about my BB Storm! I love my phone! How is it a Joke ?